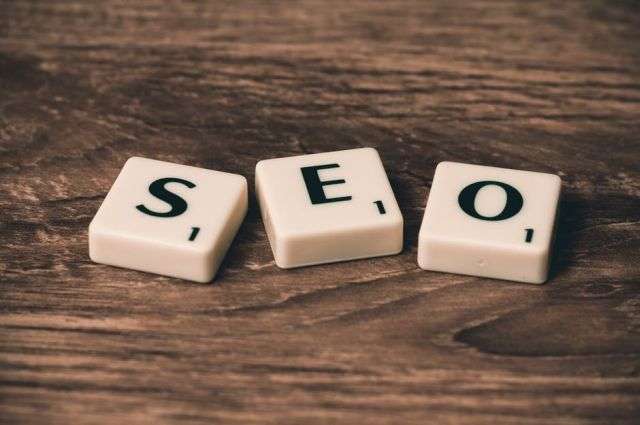 Search Engine Optimisation (SEO) has been revealed to be the number one source for creating leads for B2C and B2B marketers. Generating leads is crucial in order to obtain consumer interest and inquiry into the products and services that a company offers. If you are wondering how to improve your lead generation strategies, read on to learn five ways in which SEO strategies can help you get there. A great way to improve your SEO lead generation techniques is to list target keywords that are being used by the portion of your audience that is ready (or almost ready) to purchase and incorporate these into your content creation strategies. There are many ways you can go about doing so, free tools such as Google Trends and Google Keyword Planner allow you to find a list of potential keywords that are related to your topic. These include current keywords trending around the globe and “rising” keywords which are climbing in popularity. Longtail Keywords are also a great way to increase your lead generation. Longtail keywords consist of three or four words relating to your brand or product. If you incorporate these in your content, it’ll be a lot easier for your audience to find you through search engines. For example, “best Thai restaurants Melbourne” is specific and local, which means search engines will more likely point users with this intent in your direction. Visitors are aware they have an issue and are looking for advice or information on potential solutions. They want introductory, easy-to-understand, high-level information. Short blog posts, videos, and flowcharts can be a useful way of answering your consumer’s basic questions. Buyers in the exploration stage are not ready to purchase but are looking for the value of possible solutions to their problem. You can effectively engage consumers in this stage through eBooks and longer content posts. Consumers enter an “almost ready to buy” stage in which they have chosen a solution but are looking for comparisons on different offerings of this solution. In this stage, you can engage your audience using checklists, case studies, and charts. Buyers are ready to purchase at this stage. Make use of landing pages and provide easily accessible information for buyers to simplify the buying process. You can increase sales leads to your website with tailored links to attract visitors. Writing articles and guest posts on websites related to your business which include links to your website are a great way to optimise lead generation, as well as increasing your online exposure. As well as incoming links, linking out is just as important. When writing an article or guest post, find one or two external links that relate to your topic. In some instances, the favor will be repaid, but don’t worry if that doesn’t happen. Linking outwards helps to build rapport within the online community, which can come in handy in the future. An important aspect of SEO lead generation techniques is social media marketing. There are countless social media platforms you can use to generate leads such as Facebook, Pinterest, Twitter, YouTube, and Instagram. You can improve your lead generation by creating engaging and informative profiles on social media which link back to your website. Make sure you are using the right channel for your audience. Many people opt for Facebook advertising but this is not always the best choice. Branching out and also exploring sites like LinkedIn can help improve your lead generation strategies. As well as building a presence on social media, you need to be aware of how and why people mention your company on social media. Pay attention to mentions of your company name, common misspellings, industry-related keywords and mentions of your competitors. With this information, you can make sure you never miss out on a sale opportunity. As well as creating targeted content, it is also important to track what is already out there and what needs to be out there. Create content that fills in the gaps that your buyers are looking for. If your content is not addressing the user’s need/intent behind each keyword, chances are that this will hold back your lead generation. Make sure you are generating ideas that stand out to your audience and are specific to your topic. Generic content tends to get lost amongst the mass amount of web content that already exists on that topic, so make sure your titles are unique and fresh so that you can draw in a larger volume of visitors. Mike is a Co-Founder of digital marketing agency, Social Garden. Social Garden specializes in data-driven lead generation and marketing automation to grow companies’ revenue in different verticals in Australia.